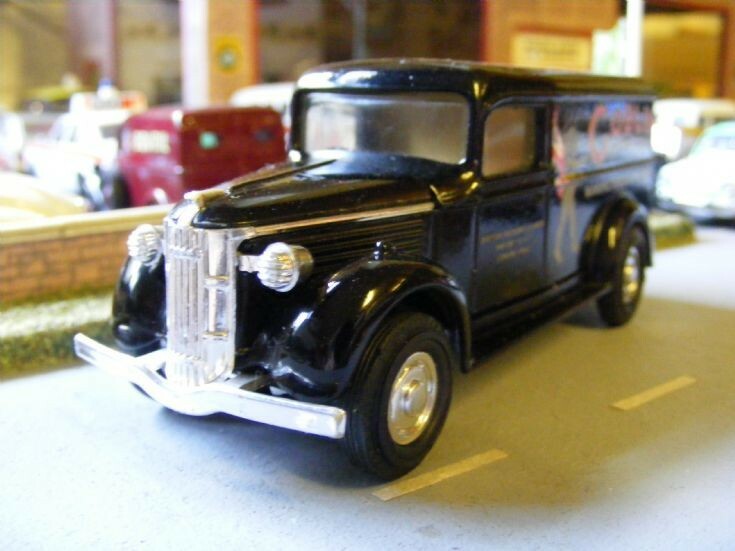 A 1937 GMC T14 1/2 Ton panel van, here in 1:43rd scale by Matchbox Models of Yesteryear. Shown as it arrived and following a good clean, it now requires a little addition detailing for display. The livery is that of Goblin Electric Cleaners of London.